The Chinese Moon Festival is on the 15th of the 8th lunar month. It’s also known as the Mid-autumn Festival. The Chinese culture is deeply embedded in traditional festivals, much like cultures all around the world. The Moon Festival is one of the most important traditional events for the Chinese, like Christmas and Thanksgiving in the West. The importance of holding Moon Festival Chicago is to keep our traditions alive as the younger generations grow up in a diverse environment where all cultures and traditions come together. It can also be used as a tool to educate others who are not familiar with Chinese traditions and culture to learn more. With the help of CEO, FBA, Alderman Danny Solis and the City of Chicago, Moon Fest Chicago exists and continues to carry on the tradition of the Chinese Moon Festival, otherwise known as the Mid-Autumn Festival. The Chinese Moon Festival is full of legendary stories and originates from the legend of Chang Er, otherwise known as the Moon Goddess of Immortality. A wife of a heroic archer, she met unfortunate demise and flew to the moon, where she has lived ever since. On the night of the Moon Festival, you may see her dancing in the moon if you’re lucky. The Moon Festival is also an occasion for family reunions. 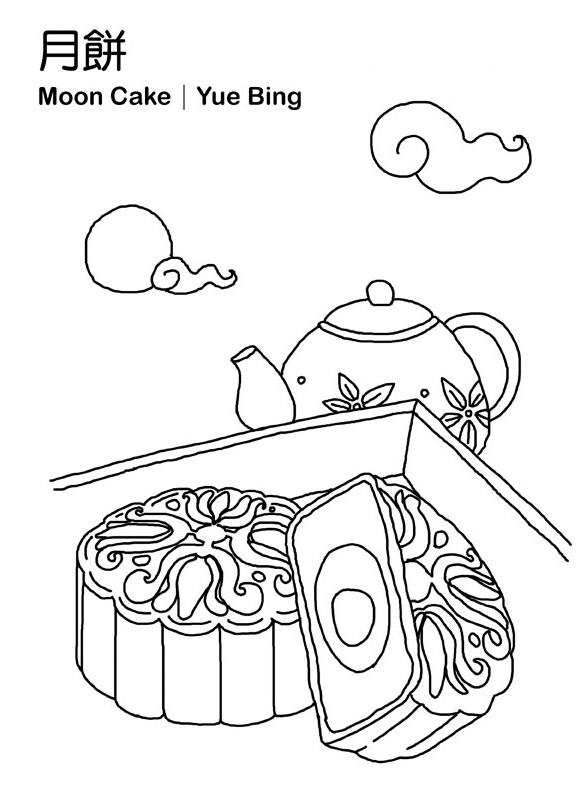 When the full moon rises, families get together to watch the full moon, eat moon cakes, and sing moon poems. With the full moon, the legend, the family and the poems, you can’t help thinking that this is really a perfect world. That is why the Chinese are so fond of the Moon Festival. During one Moon Festival Chicago event in 2008, an unlikely happening brought the Chinese community in Chicago closer together. Rain Poured from the sky and flooded the streets of Chicago with up to 20cm of water. This was the most rain Chicago has seen in 50 years! All land transport had been halted due to weather conditions. As a result, many of the performers were unable to attend the outdoor Moon Festival. This tradition takes place only once a year and serves to unite the Chinese community while welcoming other cultures but even in such an unfortunate circumstance, people did not give up. Despite the rain, the people who attended made Moon Festival 2008 every bit as festive and every bit as alive as its past iterations. Even the elders, some pushing on 98 years, came out to celebrate in the poor weather conditions! The Moon Festival can also be a romantic occasion where couples gather under the moon and bask under the moonlight in the comfort of one another’s arms. A perfect night for the festival would be a quiet night without a silk of cloud and with a little mild breeze from the sea. Because of the rain in 2008, it brought not only couples, but family and friends as well, closer together as they huddle together in close proximity under an umbrella. Lovers, friends, and family were able to spend a sentimental night together, tasting the delicious moon cake with some wine or tea while watching the full moon. And for those who couldn’t be together on the night of the festival, they were able to enjoy the night by watching the moon at the same time so it seems as if they were together at that hour. In most traditions, there are usually foods involved. With the Moon Festival, Moon Cakes are a delicacy that’s to be consumed. Moon cakes are made of a noodle-like dough on the outside, and the insides are usually filled with one or more of the following: sweet meats, bean paste, lotus seed paste, melon seed, all sorts of nuts, and duck egg yolks. The reasoning behind the name Moon Cake may be because they are shaped like the moon. The Chinese characters mean that it was originally a seasonal confectionery eaten while admiring the mid-autumn harvest moon. The Chinese Entrepreneur Organization (a/k/a Young China Club) was formed in 2004. Its objective is to provide social networking opportunities to young professions and entrepreneurs in Chicago. The Young China Club holds a wide range of cultural and social events in Chicago to foster friendship and business partnership. To network among the young Chinese business and professional elite. The Chinese Entrepreneur Organization will be a non-profit organization operated by volunteers. Like previous moon festivals in Chicago, let 2015’s Moon Festival be a success with the help of CEO, FBA, Danny Solis and the City of Chicago. Also, let Moon Fest Chicago be an anchor to keeping the Chinese tradition and culture alive in not only the Chinese community, but all of Chicago.